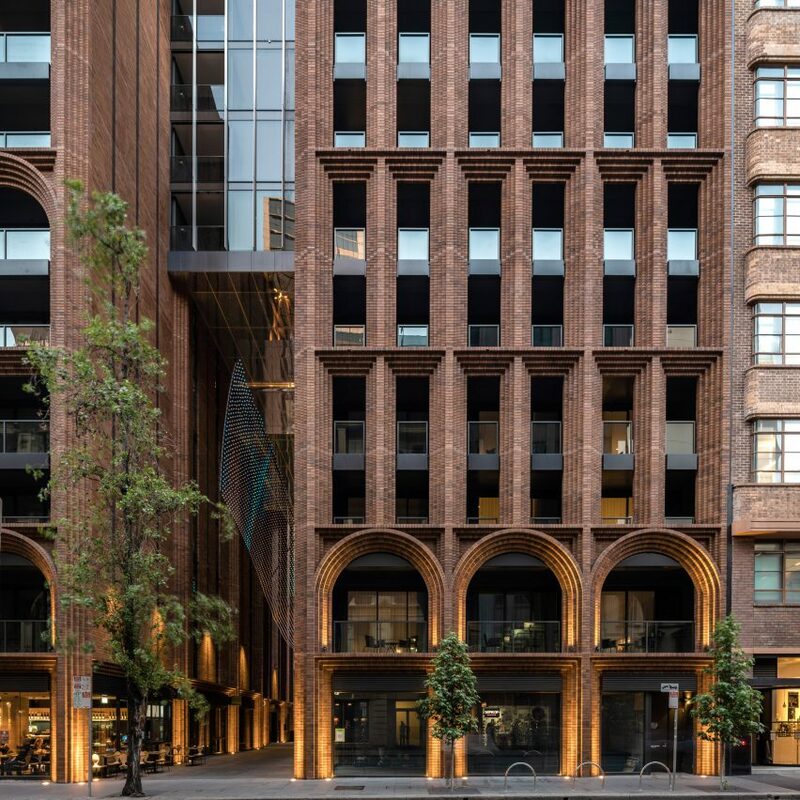 The mixed-use scheme for developer Crown Group is in a historic area of Sydney's central business district. "A duality is introduced to the facade and represented by the varied aesthetics of the podium and tower," said the architecture studio about the tower, which is located near two historic brick buildings ? the Red Cross Building and the Andrew Bros Warehouse. The building is split in two by the publicly accessible Skittle Lane, a pathway from the 1980s that has been incorporated into the project. The podium is articulated by a series of double-height, stepped brick openings, some square and some arched. These two brick sections sit either side of Skittle Lane, each with a glass tower above. The towers are linked above the alley, where the main entrance is located.